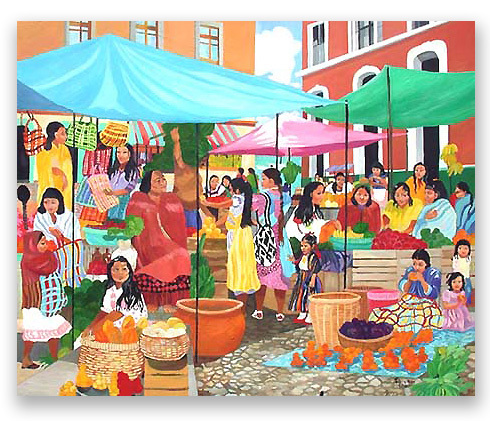 The Casselberry Rotary Club has chosen for their 2008 Calendar, my painting “MAYAN MARKET as the featured image for the month of April. The Calendar will be unveiled at the open reception at the Casselberry Rotary Club – 127 Quail Pond Circle, Casselberry Florida, on Nov 16th from 6-9pm. You can order the limited edition giclee on paper or canvas on my website under limited editions giclees.